10 - More Horror – no longer disguising the fact that Doctor Who is a horror series, the producers went all out with stories such as “Horror of Fang Rock”, “The Stones of Blood”, “The Brain of Morbius”, “Planet of Evil”, “Pyramids of Mars”, “The Seeds of Doom”, “The Robots of Death”, “The Talons of Weng –Chiang” and “State of Decay”. The Doctor and Leela are in search of a feast and The Doctor knows just the place. The planet Agratis is a beautiful planet that is known for having great feasts and that is where the two travelers will be headed. 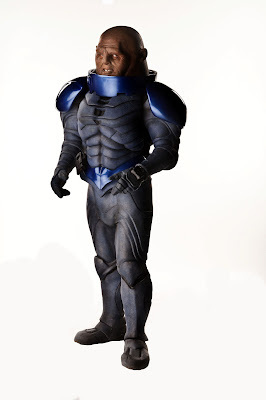 When the get there they find the planet in the control of the Judoon and they are searching for a thief. It appears that someone has stolen the Jewel of Fawton and the Judoon have been called in to find it but they have taken a military style and seem to making a mess of the beauty of the planet. The Doctor and Leela have volunteered at the behest of his friend Mason Vox to find out where that jewel has gone. So far I have been enjoying this 50th anniversary story from IDW. It has had its moments good and bad but for the most part it has been really entertaining. Issue four has been no different. 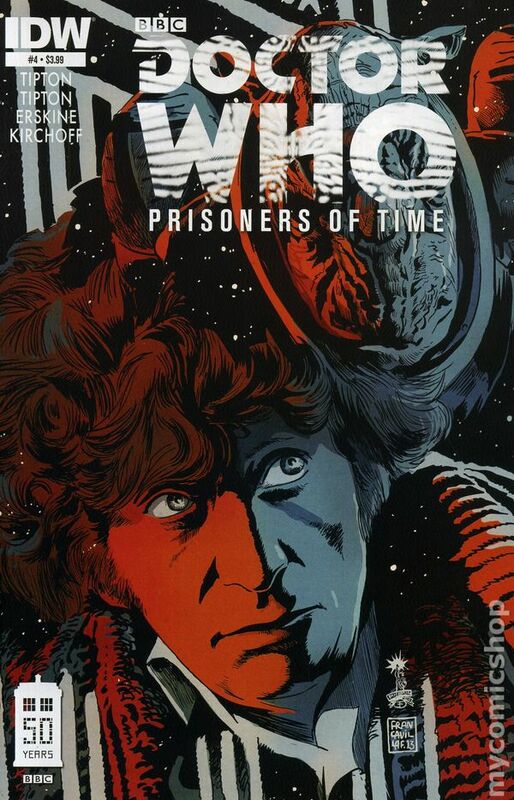 It was a very enjoyable story and had the feel of a Tom Baker story more so at the end of Leela’s time in the TARDIS when Grahame Williams had the keys to the car. The story had that type of thing where an alien was being oppressed while the curator of the museum kept the jewel for himself because he was selfish and wanted it for his museum. It is a typical Doctor Who story that works nine times out of ten. Issue four was very enjoyable and the umbrella part of the story seems to be getting going also as we are getting more of an inkling of who is taking The Doctor’s companions. I didn’t really like the characterization of the Judoon as they just did not seem like the ones we are used to seeing. I’m looking forward to seeing how this story works out every month until the finale in November. The Doctor wants to fix the chameleon circuit and proceeds to head to Earth after much debate with himself. He explains to Adric what the chameleon circuit can do when working properly and also adds that it was the reason The Master hid from them on Traken. What he wants to do is go to Earth and measure a Police Box and then go to Logopolis and get a block transfer and hopefully that will fix the chameleon circuit. They arrive at Earth and around a Police Box but there is something wrong as the Cloister Bell is going off. The Doctor explains to Adric that when that alarm goes off to expect impending universal catastrophe. What appears to have happened is that they did not materialize around another Police Box but around another TARDIS and it caused recursive loop between the two TARDISes . The Doctor and Adric continue to go through all the TARDISes until they find themselves outside. While they were doing this a young woman named Tegan Jovenka and her Aunt Vanessa car ended up with a flat tire and they parked the car near the TARDIS. 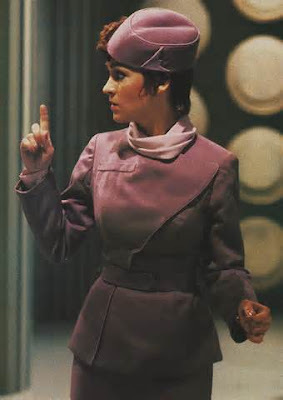 After struggling with the tire Tegan decides to take the flat to a garage but instead decides to call for assistance but instead stumbles inside the TARDIS and proceeds to get lost. While Tegan gets lost a strange laughing man kills her Aunt Vanessa. Outside of the TARDIS The Doctor is confronted by Police Inspector and is asked if he knows anything about the two killings. The Doctor looks in the car and is horrified at what he sees. Two doll like figures which is the calling card of The Master who has indeed escaped from Traken after all. The Doctor tries to flush The Master out of his TARDIS by landing in the Thames and open the doors to flood the TARDIS with water. But that does not go to plan as the land on a boat dock. There The Doctor and Adric see the Watcher and he motions for The Doctor to him. The Doctor goes up to the bridge and talks to the white shadow figure and comes back looking stern and determined. 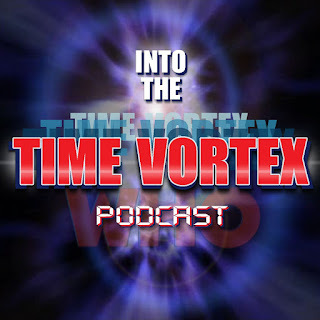 The Doctor tells Adric they are going to Logoplois and they are to prepare for the worst. The Doctor and Adric arrive at Logoplolis with Tegan as she finally gets back to the consule room and proceed to give The Monitor the measurements of the police box for the block transfer. 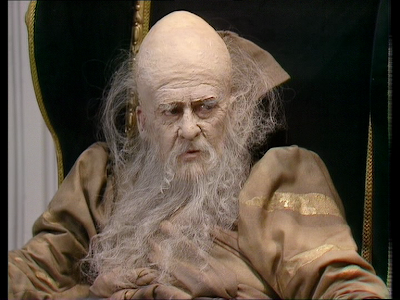 But The Master has meddled with the computations and causes the TARDIS and The Doctor to shrink. As the Monitor and Adric try to find out what is wrong Nyssa arrives. 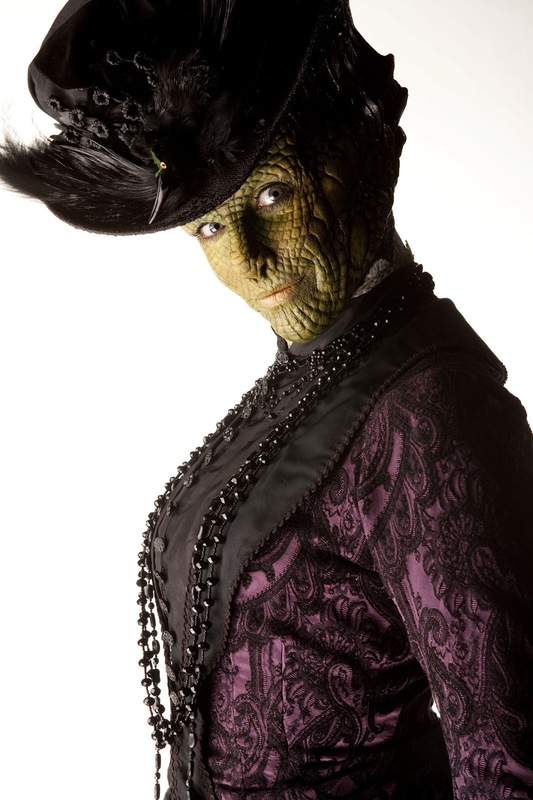 She said a friend of The Doctor brought her to Logopolis. 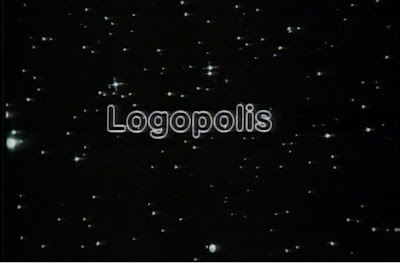 While all this is going on The Master is unwittingly working on destroying Logopolis. The Doctor is restored to normal size after Adric and The Monitor have fixed the problem and decides to confront The Master. He proclaims he will stop The Master if it is the last thing he does and will not have to wait for that to happen as The Master makes his appearance. The problem is his meddling with Logopolis and in essence destroying it has allowed entropy to be unchecked and it is starting to destroy the universe. Now it is up to the old enemies to join forces to save the universe and the price of victory will cost The Doctor his fourth incarnation. Promo Pics For Doctor Who "The Crimson Horror"
The BBC have announced that Brian Minchin will be executive producer and will be the right hand man for show runner Steven Moffat. Here is the press release from BBC Media Centre. BBC Cymru Wales has announced that Brian Minchin is to be the new Executive Producer of Doctor Who, alongside showrunner Steven Moffat. Brian Minchin is an Executive Producer in BBC Wales drama, currently working on The Game, a new Cold War spy thriller from Toby Whithouse for BBC One, and Wizards Vs Aliens, Russell T Davies' hit show for CBBC. He has also worked as BBC Executive Producer on Dirk Gently and Being Human. Brian produced the RTS award-winning and BAFTA nominated series The Sarah Jane Adventures, as well as the UK sections of Torchwood: Miracle Day and was Assistant Producer on Torchwood: Children Of Earth. Brian, who grew up in Aberystwyth, joined the department in Cardiff in 2005 as a Script Editor working on BBC One Wales drama Belonging, before moving on to network dramas Doctor Who and Torchwood in the same role. Faith Penhale, Head of Drama Wales, says: “I've no doubt Doctor Who will enjoy a very exciting time with Brian at the helm working alongside Steven. Since joining BBC Wales in 2005, he’s proved he has a fantastic eye for story and a sharp awareness of what makes a drama like Doctor Who unmissable." 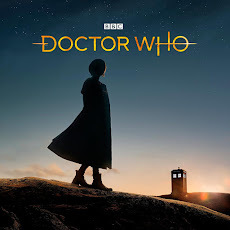 Steven Moffat, Lead Writer and Executive Producer, adds: "When I first took over Doctor Who, Brian was there as script editor, and in the most difficult time of a new Doctor and a new era, was completely brilliant. 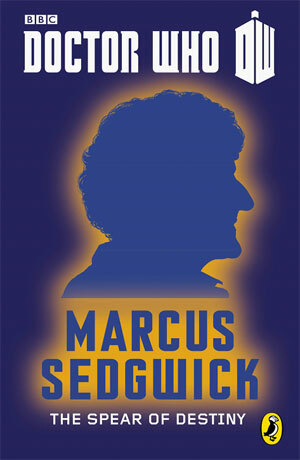 We lost him to producing The Sarah Jane Adventures at the end of our first run. Rising talent keeps rising, is how I comforted myself back then - but now I am beyond happy that Brian has risen all the way back to Doctor Who, in his new role of Executive Producer. I look forward to getting hopelessly lost in space and time with him." Brian will start in his new role with immediate effect. Because of the events of The Boston Marathon Bombing the Boston Comic Con had to reschedule the convention. Now it has made the announcement that it will be back on August 3rd and 4th at a new location the Seaport World Trade Center. So keep that weekend free and be Boston Strong and support this show. 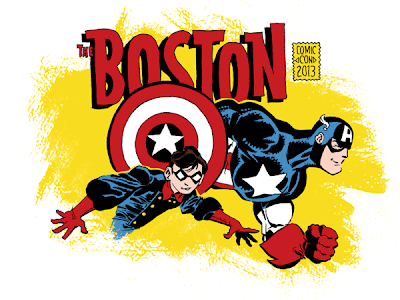 BOSTON COMIC CON 2013 - NEW DATE!! THE 2013 BOSTON COMIC CON IS BACK!! THE NEW DATES ARE AUGUST 3-4, 2013. First, we wish to thank all our fans who supported The Boston Comic Con by demonstrating the highest degree of patience and understanding imaginable during a very challenging time for all of us. And we want to reward you, our fans, by putting on an even bigger and better show than originally planned! We're moving! The Seaport World Trade Center is the new home of Boston Comic Con! It features more parking, easier highway access, as well as a direct stop in front of the venue on the MBTA Silver Line in Boston's historic waterfront district. We have reconfirmed our major comic book creator guests (who have all been wonderfully supportive of us). Let's welcome back... George Perez, Mike Mignola, Mark Bagley, Bill Willingham, Tony Daniel, Ed McGuinness, Tim Sale, Steve Niles, Colleen Doran, Aaron Lopresti, Don Rosa, William Stout, Amy Reeder, David Mack, Mike Choi, Frank Cho, and Joe Eisma! And we're still re-confirming! And guess what... we are adding even more guests as the support for Boston Comic Con keeps pouring in from comic book creators all over the country. Let's give a Boston welcome to... Dan Didio, Phil Jimenez, Brian Azzarello, Cully Hamner, Barry Kitson, Paul Gulacy, James O'Barr, Howard Chaykin, Dave Johnson, Terry Moore, and Michael Golden! That's just the beginning. Keep an eye open as more guests join us leading up to the show. A thank you and a shout out to The Walking Dead's Laurie Holden who will be coming back to the support Boston and The BCC! We are also in the process of adding more celebrity guests. Be patient, as it takes a little bit more time to book celebrities (welcome to Hollywood). We'll keep you posted. We will of course continue with our great programming events like the BCC costume contest, film festival, gaming, and charity art auction. As a reminder, advance tickets purchased online for the original show date will be GOOD for the rescheduled show. And if for any reason you can't make it to the show in August, please submit a refund request through Eventbrite and you will be refunded. You will have until August 2, 2013 to do so. Keep watching our Facebook and Twitter feeds for more info as we grow the guest list between now and then. For those of you who still haven't purchased tickets, you can do so on our website: www.bostoncomiccon.com . We're coming back bigger, better, and more exciting than ever! 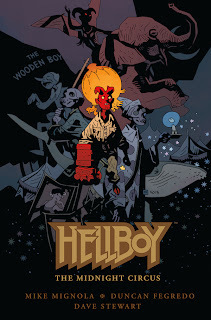 Dark Horse Comics made some news with Hellboy as there will be an all ages book and an original graphic novel. The Doctor and Leela land on a space station that is actually a tree. The Heligan is a type of tree that will produce enough oxygen to terraform a planet and make it habitable. Apparently The Doctor has been to this particular tree before as it knows him and imprisons the TARDIS with its limbs. It appears The Doctor has been here before and if he returns he will be executed. In fact the tree is so riled up that it’s sending out killer spores that seem to be killing the inhabitants of the tree just to get at The Doctor. So it’s up to The Doctor and Leela to find out how to stop the killer tree spores and find out why everyone hates The Doctor so much. I enjoyed this short story from The 50th Anniversary short stories by Penguin publishing. This one has action packed and had a good mystery to it. I enjoyed finding out why The Doctor was so hated and when I found out which one of his future selves was the cause it made totally sense. But the reason he is hated turned out to be different than what the inhabitants were told and well you just have to read for yourself. This story had the feel of a Tom Baker era story and it also got the characterization right also. I liked the fact the author used Leela as she is not used that much in books and comics so it was good to see her get some representation in the literature world. In fact it had a good feel to it and was pretty interesting that I read The Roots of Evil in one sitting. . It was the most action packed of the four stories so far and you had to love the running away from the monster story which brought its own brand of excitement. I really enjoyed this one and next to The Spear of Destiny this one was kept the winning streak going. 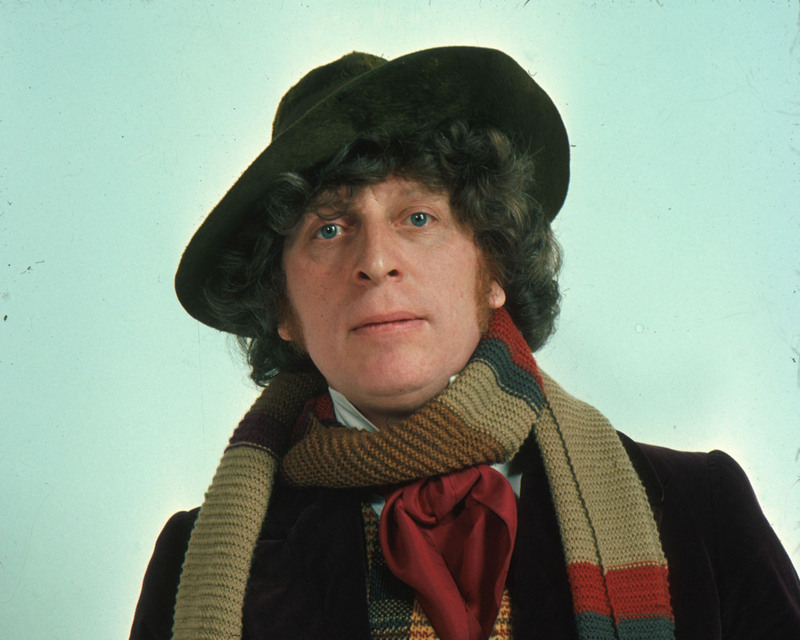 Bring on the 5th Doctor story. Dark Horse is all smiles after getting Elfquest as they will be producing all new material and reprinting the existing catalog. ELFQUEST COMES TO DARK HORSE! 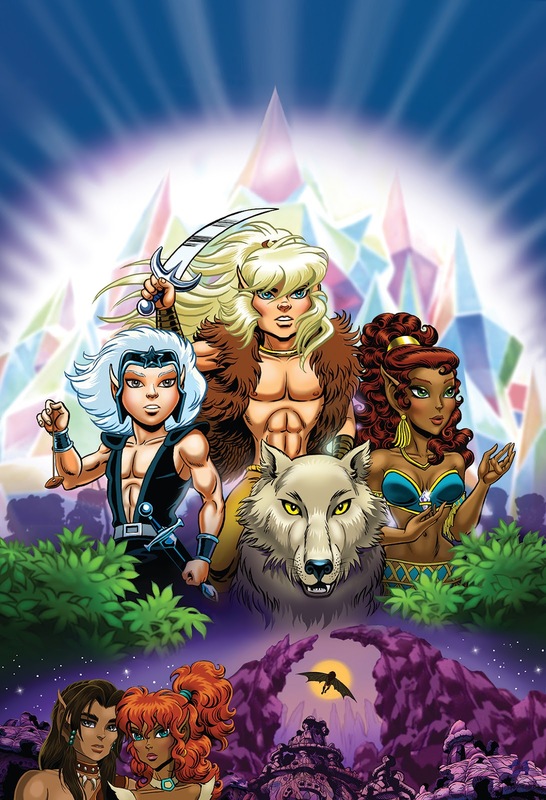 Elfquest: The Final Quest to launch comprehensive publishing program for all-new and existing material in the fall of 2013! APRIL 27, CHICAGO, IL – Dark Horse kicked off C2E2 in style, with what is sure to be some of the biggest news of the weekend. Attendees of the Diamond Retailers Summit were the first to hear the publisher’s announcement of an all-new series in one of comics’ most storied worlds! For generations, the Wolfriders sought a safe haven. Now, in the Palace of the High Ones, they have found it. But with security, the elves lose the skills that made them superb survivors in a harsh world. Elfquest: The Final Quest poses dire questions: Who stays? Who goes back to the forest? And what grim price will the Wolfriders pay? “Dark Horse is a company I’ve admired ever since it sprang on the scene in the 1980s. Somehow, as large as they’ve grown, they’ve retained an independent spirit that Richard and I totally identify with. The quality of their offerings is legendary and I’m extremely happy that Elfquest is part of their lineup,” said Elfquest cocreator Wendy Pini. 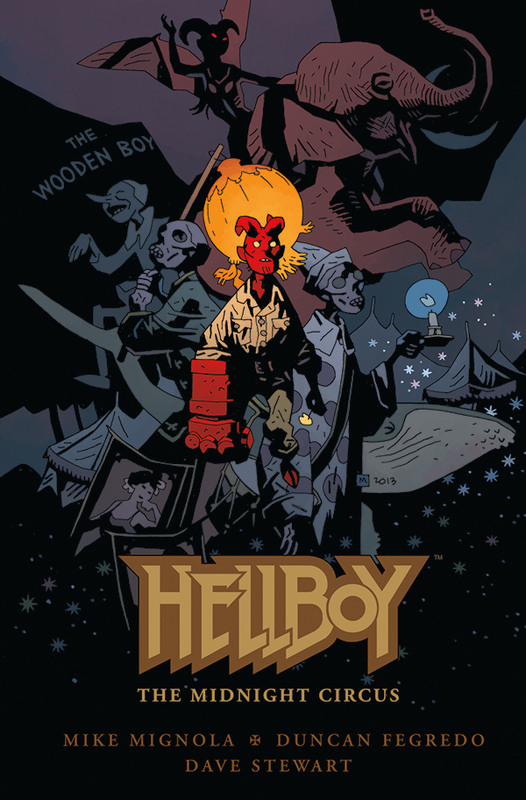 “Mike Richardson and Dark Horse come from the same publishing DNA as our own company, Warp Graphics, and he retains that gut-deep love of getting comics out into the world. We’re jazzed at all the plans, both traditional and new, they have for Elfquest,” added Elfquest editor and cocreator Richard Pini. “I’ve known Richard from our very first year and read Elfquest from its inception. I’ve also pursued him and Wendy for nearly as long as Dark Horse has existed. Elfquest has been a lifetime project for Wendy and it is one of comics’ great epics. I am extremely proud to bring their wonderful book to Dark Horse and particularly excited to see what is in store for us over the next three years,” Dark Horse President Mike Richardson continued. In celebration of the thirty-fifth anniversary of Wendy and Richard Pini’s cult comics classic, Dark Horse proudly welcomes the Wolfriders, the Sun Folk, the Gliders, the Go-Backs, and the High Ones to its own rich history! The first release will be the prologue to an all-new fantasy epic, Elfquest: The Final Quest, arriving in the fall of 2013! 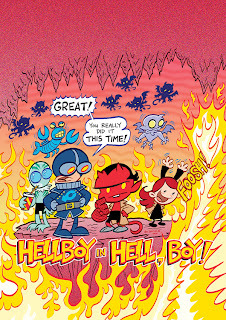 Following that, Dark Horse will release this new story alongside all-new editions of the previously published material from this best-loved series! 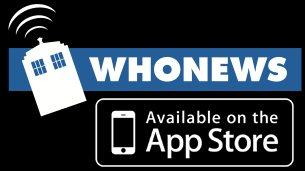 Look for more details shortly! Dark Horse Comics Brings Us A "Witch Hunt"
Dark Horse Comics was really busy with announcements this past weekend at C2E2 as there is more to come after this. A fantastic tale of dark fantasy with a noir edge! APRIL 28, CHICAGO, IL—From the minds of Victor Gischler (Punisher MAX, X-Men) and Juan Ferreyra (Colder, Rex Mundi) comes a new horror series: Witch Hunt! 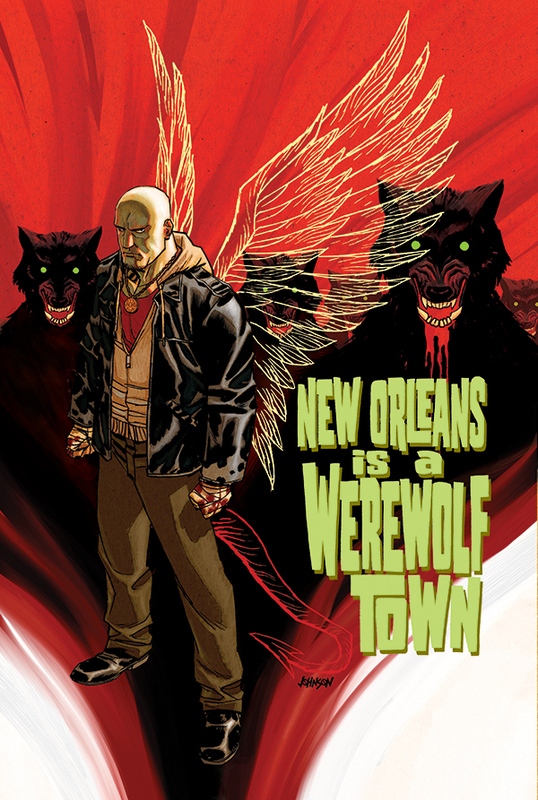 Cassian Steele is boss of the werewolf mafia in the Big Easy, and he’s got a problem. The old witch Verona, who knows his secret, has gone into hiding. Cassian wants her dead. So he sends out the word: an open contract. The first monster to dust Verona gets a big payday. Werewolf mobsters, vampire maids, voodoo wizards, zombie ninjas, and even a rogue priest show up to try to collect the bounty. What they don’t realize is that Barnabus Black, a demon desperately trying to regain his halo, is her protection. “Victor came up with a very interesting story for me to draw. I was able to portray a varied array of weird stuff, which makes the book a really fun ride visually. So if you like werewolves, angels, demons, witches, zombies, ninjas, vampires, etc., you might find something to your liking,” added artist Juan Ferreyra. For more information, check out the exclusive interview with Juan & Victore on Bloody Disgusting! Witch Hunt #1 is on sale September 18 in comic shops everywhere! More Dark Horse Comics news from C2E2 as they are really getting going on getting their superhero line going again. The new title will be Buzzkill by Donny Cates and Mike Reznick. A NEW SUPERHERO SERIES OF BOOZIN’ AND BRUISIN’! APRIL 28, CHICAGO, IL—From the minds of Donny Cates (Hunter Quaid) and Mark Reznicek (percussive force of the Toadies) comes a brand-new superhero series that packs an eighty-proof punch. Dark Horse Comics is thrilled to announce Buzzkill! 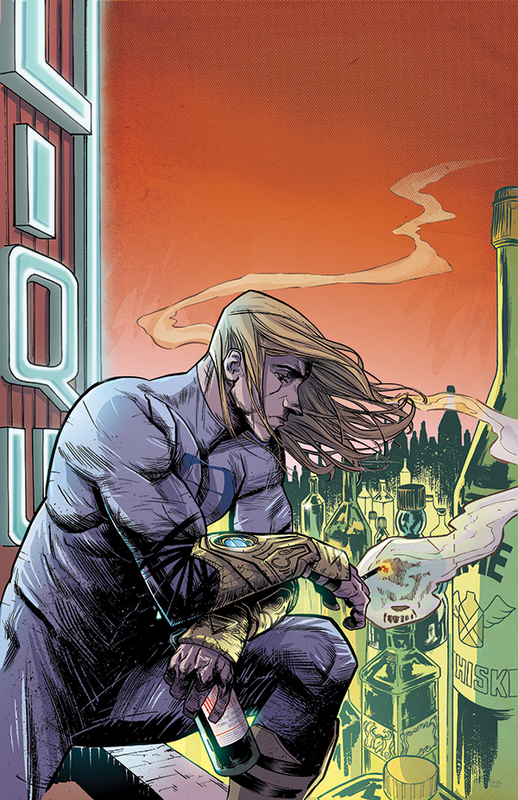 In this wildly gorgeous new four-part miniseries from artist Geoff Shaw (Batman 80-Page Giant) and colorist Lauren Affe, Buzzkill is drunk with power! Buzzkill #1 is on sale September 18 in comic shops everywhere! The Doctor and Adric are invited to Traken or diverted to Traken by the Keeper. 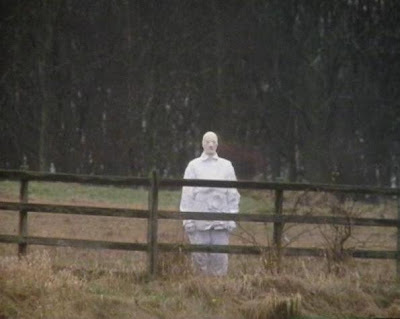 The Keeper needs The Doctor to help him to prevent evil to take over the source when he dies. It appears that a calcified statue called Melkur that had appeared on Traken many years ago hasn’t desolved into the ground as most things that are evil do. The Keeper is worried that when he dies that somehow Melkur would find a way to get possession of the source and threaten all the tranquility of the Traken Union. Things do not go as planned when The Doctor and Adric arrive as they are surrounded by the Fosters and taken to the council for questioning. After not believing The Doctor’s and Adrics story and the TARDIS not where it should be they call the Keeper to see if The Doctor’s story is correct in him inviting them. 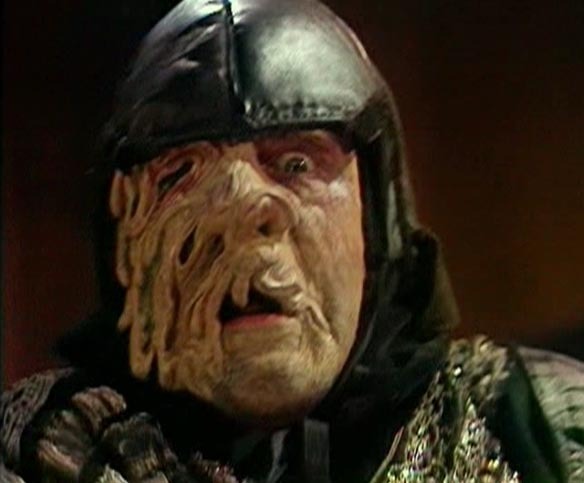 But unfortunately Melkur is peeking through the door and The Keeper sense great evil and the Councils believe the evil is The Doctor and Adric. Now with the suspicion being planted on them and the council overreacing Tremus has decided to believe them and decides to have The Doctor and Adric in his care. What they do not know is the Melkur is using Tremus wife Kassia, who was once the one who took pity on Melkur and seems to have a bit of a relationship with it, is in league with Melkur and is in fact his agent. She has been manipulating things so Tremus wouldn’t become Keeper and stay with her. But what The Doctor has discovered is that she is the one being manipulated and it will cost Kassia her life and Traken it’s Keeper as a familiar foe makes his triumphant return. 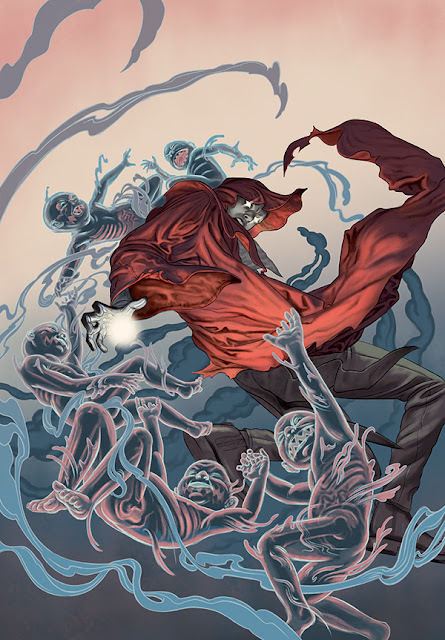 Dark Horse and Hack and Slash's Tim Seely To Bring Back "The Occultist"
More news dribbling in from this weekends C2E2 as Dark Horse Comics and Tim Seeley will be returning to The Occultist. Faans of Hack/Slash will be excited to know that he will be doing another book as Hack/Slash ended this month. 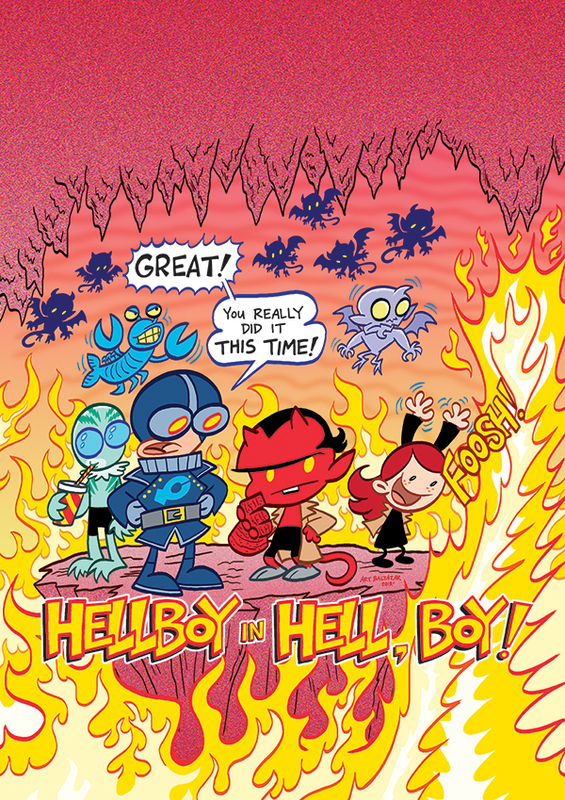 It’s Harry Potter meets Trainspotting from Tim Seeley & Mike Norton! APRIL 28, CHICAGO, IL—Dark Horse Comics is pleased to announce that Tim Seeley (Hack/Slash) is returning with his rare mix of humor and horror in the supernatural superhero series The Occultist! With acclaimed artist Mike Norton (Battlepug, The Answer!) on interior art and cover art by Steve Morris (Serenity, Angel & Faith), The Occultist will return this fall in the follow-up to its hugely successful 2011 miniseries! When the Sword, a mysterious book of powerful spells, binds itself to him, the fact that Rob’s life has been falling apart doesn’t seem like such a big deal. To survive, Rob must learn to control the book’s unpredictable magic, while his life slips even further out of control . . .
An evil witch doctor wants the Sword to reject Rob, now known as the Occultist, by deciding that he is a bad host in the ongoing war against the realm of the dead. The solution lies in a Catholic schoolgirl who dabbles in death for a quick high. 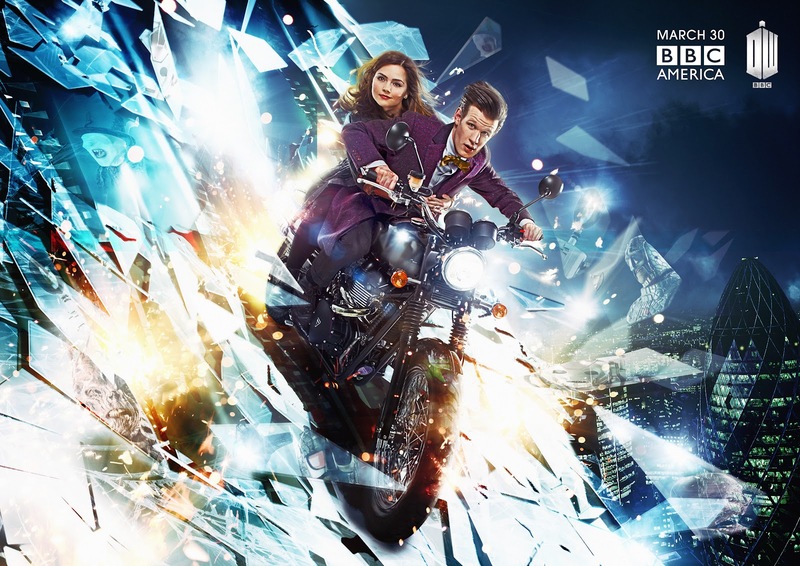 The Doctor and Jo are on the case to steal the Spear of Destiny from a museum in London. The Brigadier is convinced something is strange with that historical piece and will give what help he can to The Doctor in stealing it. The theft doesn’t go as planned as there were some strange security devices protecting it. Plus it turns out that it is a fake. So The Doctor worried about the power that the Spear possesses wants to get the real thing and proceeds to go back to the time of the Vikings. While there things aren’t what they seem as there are traces of technology and an old enemy waiting for them. Of all the stories that have been released for Penguins 50th Anniversary Doctor Who celebration The Spear of Destiny actually felt like a story that could fit in that particulars Doctor’s era. 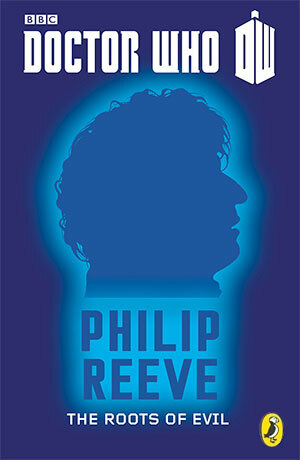 It had the feel of a Jon Pertwee story as it had UNIT and of course The Master involved. Marcus Sedgwick captured the 3rd Doctor to a T and that was pretty good to see considering how the previous stories were close but no cigar. Using the Spear of Destiny was a pretty good idea and having it something dangerous that the Time Lords wanted it removed was a pretty good idea and made for a good story. I enjoyed The Spear of Destiny very much and was entertained throughout the story. It was fun and interesting to read and kept my interest throughout. I loved the twist the added in Viking times and would have been disappointed if The Master hadn’t shown up at some point. It really had that third Doctor feel to it and thankfully someone wrote a story that didn’t mess with the mythos. The Spear of Destiny was a fun short story and so far to this point the best story from the Penguin short stories of Doctor Who 50th Anniversary stories. Behind The Scenes Doctor Who "Hide"
Another Preview Clip For Doctor Who "Hide"
Preview Clip For Doctor Who "Hide"
Jenna and Matt Introduce Doctor Who "Hide"
Star Trek Into Darkness New Trailer!!! Doctor Who - BBC America trailer for "Hide"
Trailer For Doctor Who "Hide"
Behind The Scenes Doctor Who "Cold War"